Winemaker Paul Clifton came to wine from a firefighting career. He grew up in the Monterey Bay area and always felt the lure of the outdoors and agriculture. After college, he considered a white-collar job in the financial world but felt he was more suited to fight fires. After working as a firefighter for a few years, he decided to change careers and in 1996 began his pursuit of becoming a professional winemaker. He started at Bernardus Winery in Carmel Valley, where he was mentored by Don Blackburn, a well-known Pinot Noir vintner who now crafts wine at Emeritus in the Russian River Valley. Paul worked his way up from cellar rat to cellar master at Bernardus and in 1999 moved on to Byington Winery in the Santa Cruz Mountains as assistant winemaker. He developed a passion for cool climate viticulture and Pinot Noir in particular. To further his knowledge, he attended Lincoln University on the South Island of New Zealand and received a postgraduate degree in viticulture. Upon returning to the United States in 2003, he began working at Hahn Estates in the Santa Lucia Highlands with winemakers Adam Lazarre and Barry Gnekow. With time, Paul became the head winemaker at Hahn Estates and has brought the winery’s Pinot Noir program to prominence. Like many winemakers, Paul is rather shy and unassuming and underplays his considerable accomplishments. He is assisted by winemaker Greg Freeman. 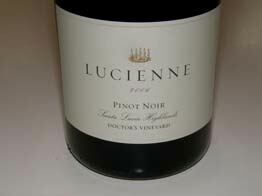 Lucienne Vineyards is an estate winery within the Hahn Estates umbrella of wines launched with the 2005 vintage. Owned by Nicholas Lucien Hahn, the winery is a separate facility - a winery within a winery. 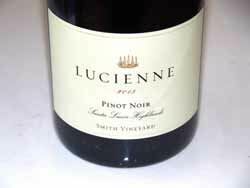 The goal at Lucienne is to produce premium Pinot Noir in small lots from exceptional estate vineyards including Lone Oak Vineyard and Doctor’s Vineyard. 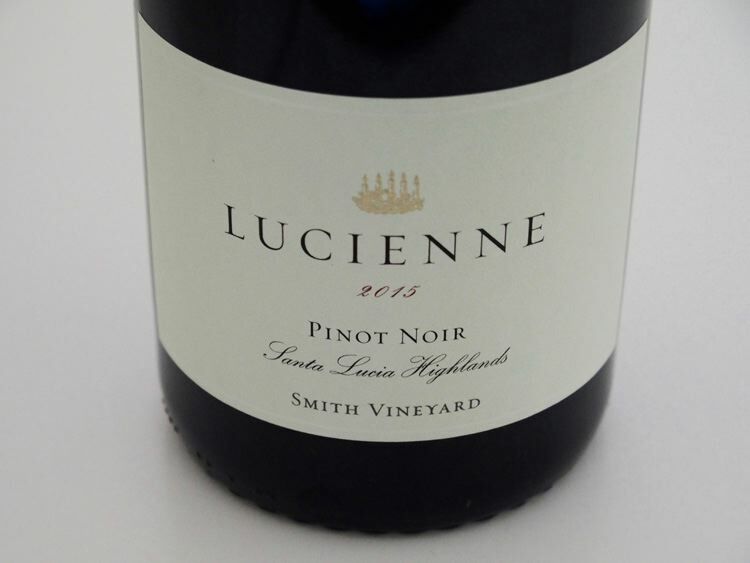 The winery takes its name from Nicky Hahn’s middle name Lucien, but in the feminine form to honor the namesake of the Santa Lucia Mountain range where the vineyards are located. 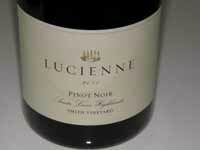 By 2018, Hahn owned over 300 acres of Pinot Noir in the Santa Lucia Highlands. The Hahn Family owns and farms 10 percent of the 6,100 vineyard acres in the Santa Lucia Highlands. Nicky Hahn died in 2017 and his son Phillip now runs the family business which incorporates six brands including Lucienne. 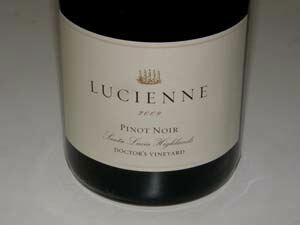 Lucienne Pinot Noirs are sold through the website. 831-678-2132. The Hahn Estates tasting room in Soledad is open daily.